Check out these last-minute costume ideas you can create with supplies you probably already have around the house! 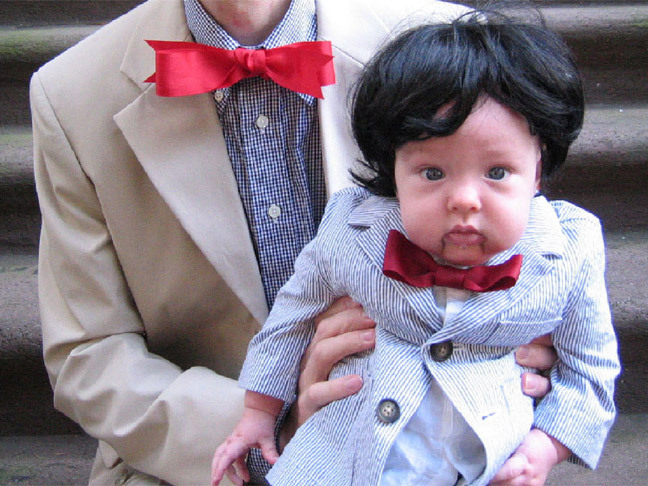 Scrambling around for Halloween costumes at the last minute seems to happen every year. Store bought costumes are fun and elaborate, but can be super expensive. Plus, it’s a lot more fun to use your own creative talents and come up with something fun and inventive on your own. 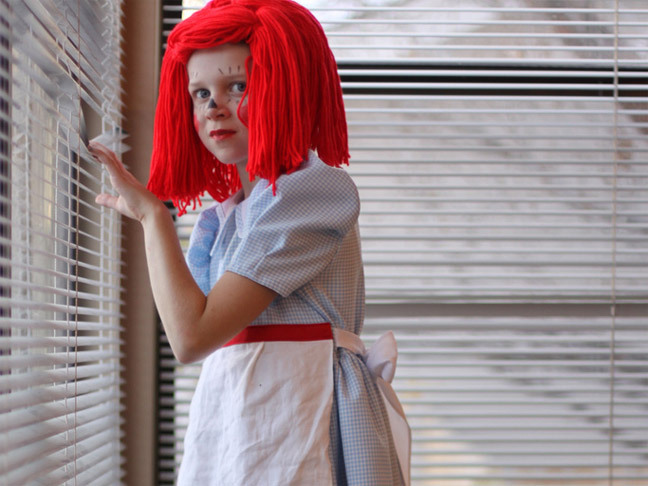 Red yarn and some digging around in closets to come up with this easy and charming Raggedy Anne costume. Tutorial and photo via Design Mom. Who wouldn’t want to fill up a sweet lamb’s treat bucket? A little wool batting with some black leggings and tee for this adorable costume idea from Martha Stewart. 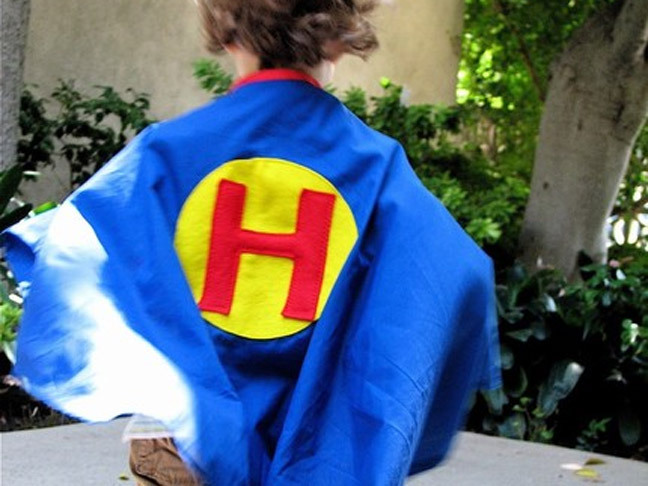 An easy sewing project can create a fun super hero cape your child will want to wear all year. Add spandex and a belt to complete the look. Cape from The Polka Dot Parlour shop on Etsy. 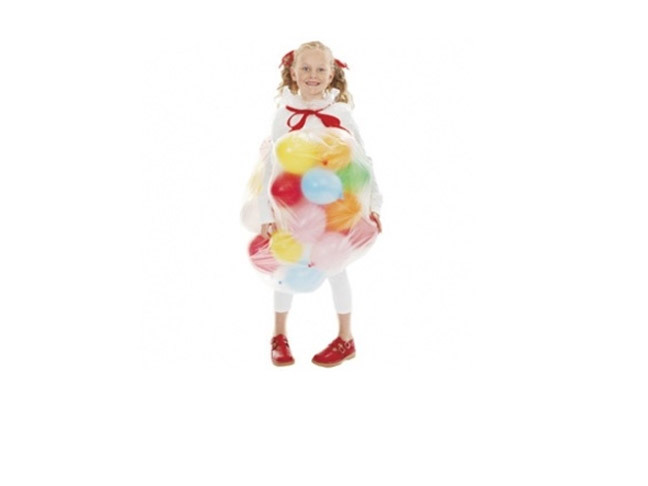 All you need are a few balloons and a garbage bag for this bag of jelly beans costume, from Work It Mom. 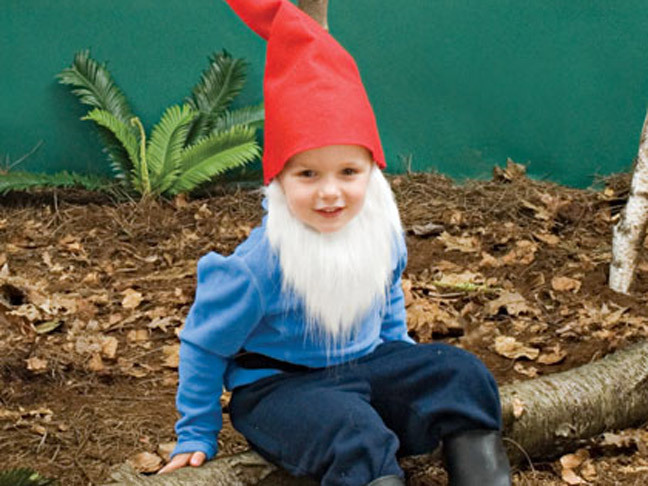 For a charming little garden gnome it only takes some red felt and a few re-purposed clothing around the house. Full instructions on Disney’s Family Fun site. 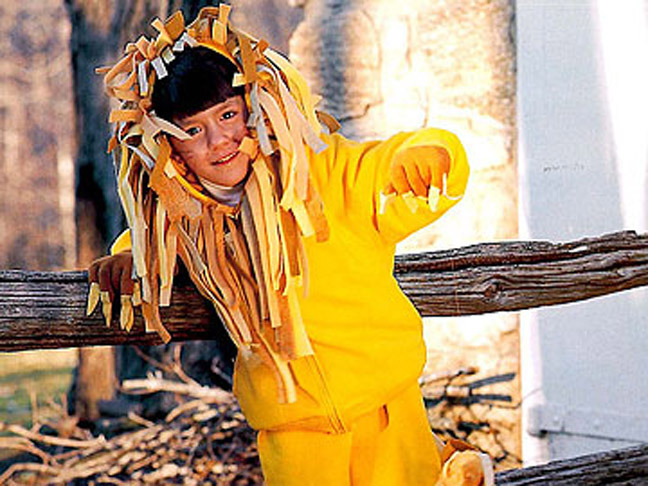 Attach felt in yellows, oranges, and whites around a yellow hooded sweatshirt for this easy lion costume from Country Living. 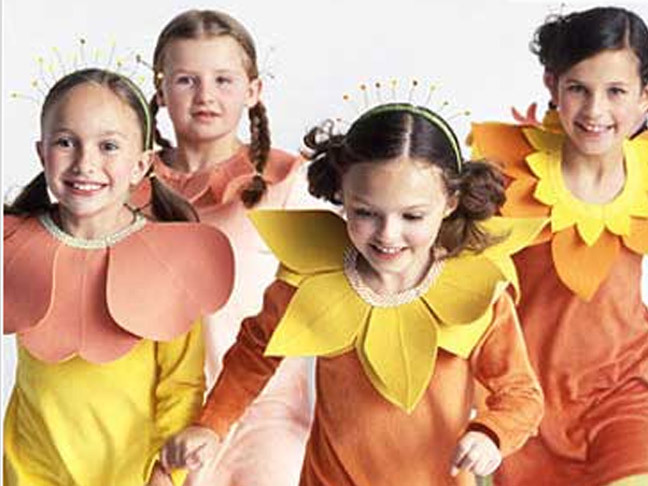 Nothing is sweeter than only needing a few minutes to make this floral bouquet costume from Martha Stewart. With some pastel clothes and a little cut felt sewed around bias tape, you’re ready for trick or treating.